An 81-year-old fell into a muddy area of the Oradell Reservoir and became stuck on Thursday. "I feel lucky, very lucky," said Al Casamenti as he spoke outside his Hackensack, New Jersey home. The 81-year-old was wearing hospital scrubs because his clothes were completely ruined after he fell into a muddy area of the Oradell Reservoir and became stuck. "I wanted to get to the other side," said Casamenti, who went to the reservoir to fish. "I thought the ground looked solid enough but it wasn't. I feel right in." 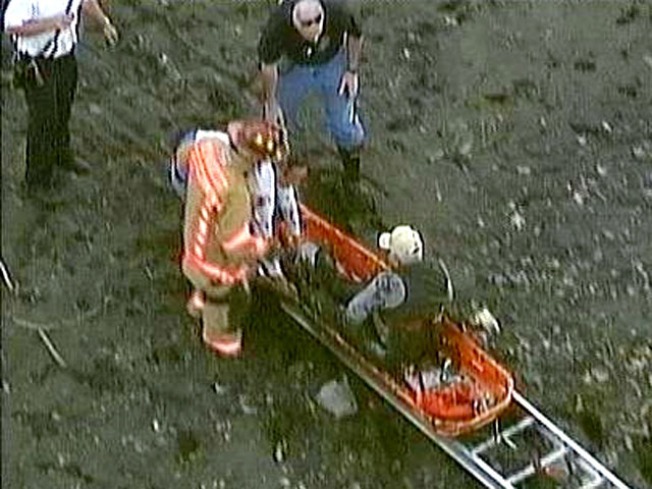 Fisherman Needs Rescue After Getting Stuck in Mud. Al Casamenti used his cellphone to call for help. Firefighters were able to pull him out two hours later. Suddenly Casamenti found himself waist deep in the mud. He tried to free himself, but it was no use. "I couldn't get myself out. It was like I had fallen into quicksand or glue." Casamenti said he tried yelling for help, but his cries were not heard in the vast and dense reservoir. Luckily, he remembered his cellphone which was in the pocket of his vest and he dialed 9-1-1. "Good thing I had my cellphone," he said. "Otherwise I may still be out there. I told them where I was but it was not easy to find me so they had me yell and they followed my voice." Firefighters from the Haworth Fire Department placed their ladders on the muddy ground and carefully climbed their way to Casamenti. They eventually hoisted him out, but it wasn't easy. "Little by little we dug him out, but it was tight," said Chief Robert Hennion. "He was in great spirits though, laughing, telling jokes, and apologizing for wasting our time." 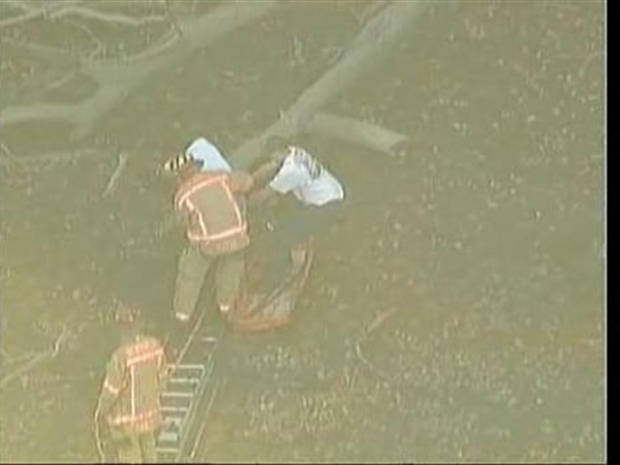 It took nearly two hours for rescuers to safely pull him out. Haworth firefighters agree this is one of the most unusual rescues they have ever done. Casamenti was sent to Englewood Medical Center where he was examined, but he did not suffer major injuries. When asked if he plans to return to the reservoir, he said, "not anytime soon."